This system is filled with botanicals. Proteins and vitamins, Arnica, Echinacea, Calendula and angelica bring the skin back into balance. These formulas are free of any known comedogenic or sensitizing agents and are ideal for post microdermabrasion and post surgical skin care. 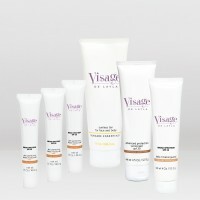 Clinical System: This system is filled with botanicals, proteins and vitamins directed toward calming irritated skin. Regenerative ingredients such as Arnica, Echinacea, calendula and Angelica bring the skin back into balance. These formulas are free of any known comedogenic or sensitizing agents and ideal for post microdermabrasion and post surgical skin care. Vitamin K, Anti-Inflammatory, improves circulation, reduces post- laser discoloration. Bearberry, skin brightening, anti-bacterial and anti- oxidant. Arnica, reduces inflammation, soothes and calms. Be the first to review “Clinical System” Click here to cancel reply.